It was a slow process, but just over five years later she’s doing well. She’s about to finish her therapy. She’s driving again. She’s got a job. She seems happy. Kristin got therapeutic help that’s not generally covered by health insurance. But it is covered under Michigan’s no-fault Personal Injury Protection. The insurance, mandated by the state, is the only one of its kind in the nation. 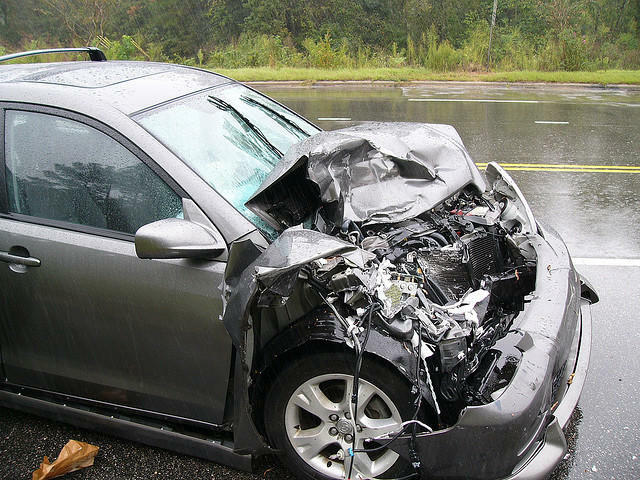 The Michigan Office of Financial and Insurance Regulation explains if you are hurt in an auto accident, the Personal Injury Protection part of the no-fault policy will pay all of your medical costs. It will also pay up to 85 percent of the income you would have earned if you had not been hurt for up to three years-- with some limits. And if you need physical therapy or other kinds of therapy such as help with your speech or re-learning tasks or how to hold a job, you’ll get help as long as necessary. It’s lifetime, unlimited coverage. One person told me Michigan drivers might pay a little more for insurance, but it’s a great state to live in if you get mangled in a car accident. You’ll get the help you need as long as you need it. Now, legislation is being considered that would end that mandatory coverage. Kuhnmuench says auto-insurance buyers should not be forced to buy the coverage. They should have a choice. But, if people can opt out of the mandatory personal injury protection portion in favor of lesser coverage, then the pool for that coverage will be smaller. And the cost of that coverage is likely to increase dramatically… and some people won’t be able to afford it. Mike Dabbs is president of the Brain Injury Association of Michigan and with a group called the Coalition Protecting Auto No-Fault. He suggests many people who are getting help through this mandatory personal injury protection coverage will find without it, they’ll have few options but to go on Medicaid. Dabbs says Michigan’s auto no-fault is doing exactly what was intended since it was passed in 1973. Michigan Watch attempted to contact the sponsors of the bills to end mandatory no-fault. But, both Senators, Joe Hune, a Republican, and Virgil Smith, a Democrat, declined to grant interviews. Although, a staff member with Senator Smith’s office did say the goal was to lower insurance rates. Senator Smith represents a part of Detroit, which has not only the highest insurance rates in the state, but the highest rates on average in the country. But, Detroit’s high rates have as much to do with collision, vandalism, and theft coverage as with the mandatory personal injury protection coverage. Steven Gursten is a partner with the law firm Michigan Auto Law and the current president of the Motor Vehicle Trial Lawyers Association. He says if the Michigan legislature really wants to lower insurance rates in the state, there’s a smarter way to do it: Limit the insurance companies’ profits. “We have a system where the law requires us to buy insurance, but we don’t regulate the amount of profits that the companies can make for selling us this product that we are forced by law to buy. Gursten says if mandatory no-fault insurance with the current personal injury protection is made optional, people won’t think about the worst-case scenario. They’ll just buy the cheapest insurance. He says that mandatory no-fault personal injury protection coverage has made a lot of difference in the kind of care he’s been able to get. One of Corey’s therapists at WillowBrook Rehabilitation Services, J. C. Cormier, says most people don’t realize how important the no-fault coverge is until they need it. A recent Michigan State Police report indicated data from 2009 showed traffic crashes caused 937 deaths and 70,000 injuries. Many of the families of those who died got financial help for three years. Those who had catastrophic injuries were covered completely for a lifetime if necessary because of Michigan’s no-fault personal injury protection.